A studio mic bundle that delivers a pair of versatile performers for less. 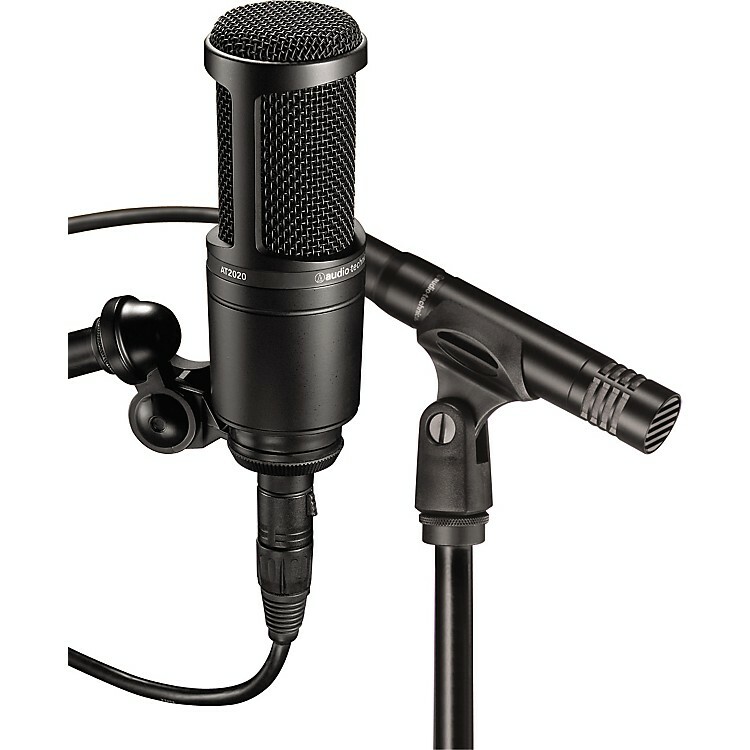 The Audio-Technica AT2041SP Microphone Pack gives you 2 studio condenser microphones for use in your recordings. They deliver versatility and durability with remarkable specs and superior build. The critically acclaimed AT2020 is a side-address mic for vocal and instrument applications, while the AT2021 small-diaphragm condenser microphone is a natural for solo acoustic instruments and vocal and drum overheads. Each mic offers a wide dynamic range and handles high SPLs with ease. An innovative pivoting stand mount is included along with a microphone clip and protective pouches. Using proven Audio-Technica technology, 20 Series microphones deliver great performance for digital and analog recording at a low price. Audio-Technica's stringent quality/consistency standards set both microphones apart from other mics in their class. Both require phantom power.